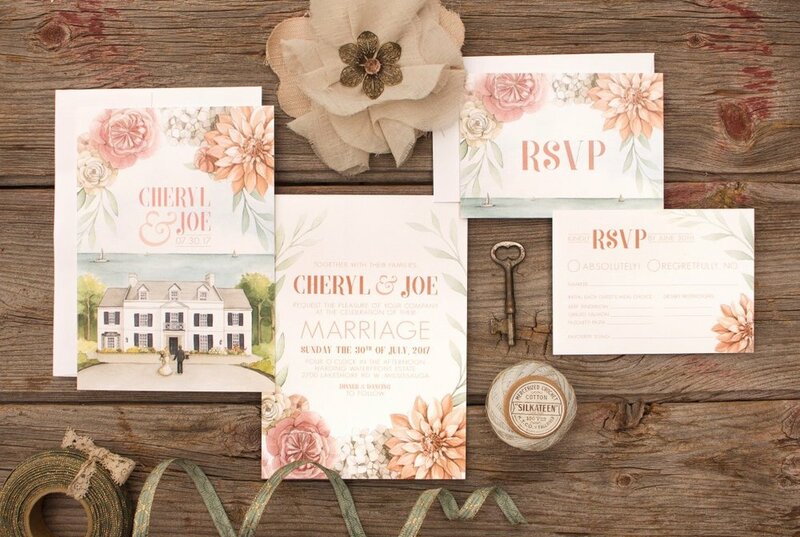 This design is made for you if you’re getting married at a beautiful Wedding venue, and are a floral lover like me! I will paint a custom illustration of your venue, and you get to keep the artwork to frame as a lovely sentiment piece of art! The added floral element highlights the romance and botanical feel of your big day. An additional, custom option would be to swap out the flowers for specific ones in your bouquet or décor!